Last week, in this space, we addressed the etiquette of talking to another player’s ball, an admittedly odd topic, given that balls aren’t equipped to listen. This week, it’s on to an equally unresponsive population: slow golfers. The question: How to tell a playing partner that…he/she…takes…too…darn…lonnnnnnng. The tricky part here lies in golfer self-perception, as reflected in a recent GOLF.com anonymous poll of PGA Tour pros. 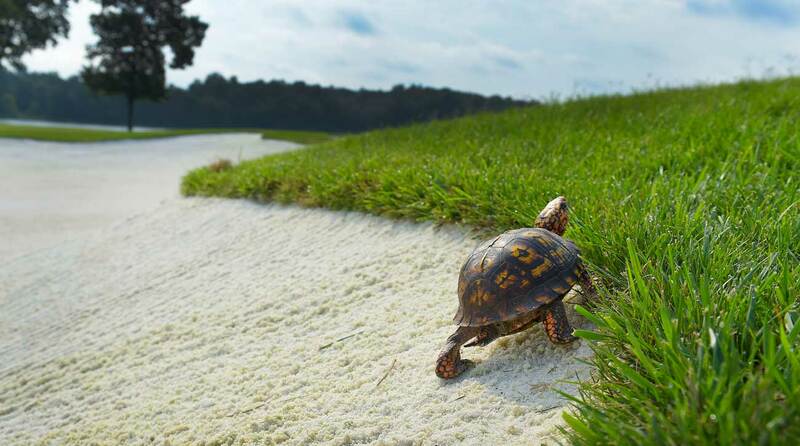 In the survey, 78 percent of respondents groused about slow play, but not a single one said he was guilty of it. Tour pros, of course, are a breed apart, but their perspective points to a general truth: Most slow players are oblivious to their own bad behavior, and the agony it causes the rest of us. Trying to talk to them about their grinding pace can be about as fruitful as asking a glacier to get moving. What to do? Playing partner moving like a turtle? Urge them on the best you can.